It’s fall in the Valley and that means two things: Harvest and the Devour! Food Film Festival. And, although both are exciting and food-based, only one brings with it a buffet of mouthwatering servings of fresh feature films. As I excitedly pored over the film offerings this year I concluded, again, that I wanted to see them all. But, if you can only manage to squeeze a few into your schedule, here are some that I think look intriguing. 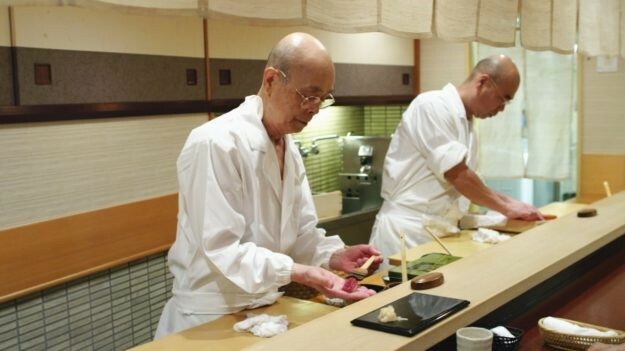 85-year-old Jiro Ono is considered by many to be the world’s greatest sushi chef. He is the proprietor of Sukiyabashi Jiro, a 10-seat, sushi-only restaurant inauspiciously located in a Tokyo subway station. Despite its humble appearances, it is the first restaurant of its kind to be awarded a prestigious three-star Michelin Guide rating, and sushi lovers from around the globe make repeated pilgrimages, calling months in advance, and shelling out top dollar for a coveted seat at Jiro’s sushi bar. A thoughtful and elegant meditation on work, family, and the art of perfection, chronicling Jiro’s life as both an unparalleled success in the culinary world and as a loving yet complicated father. Since time immemorial, the country of Georgia has produced some of the rarest and most sought after wines in the world. Some of us may recall a certain wine maker named Bastienne who worked at Benjamin Bridge winery for several years. Bastienne now makes wine in Georgia, so I was intrigued to get a closer look at the industry there. 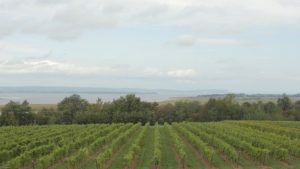 A family reclaims its once lost land and makes biodynamic wine with the pull of the world’s largest tide cycle. Any of us who are fans of the magnificent Lightfoot and Wolfville Winery will be sure to be enchanted with this great short film. Lobster is the lifeblood of many Nova Scotia fishing communities, where the world’s largest tides dictate the daily catch. André Tchelistcheff arguably invented California wine as we know it today. Told in his own voice, the history of winemaking in America comes to life in this touching feature documentary from André’s own grand-nephew, director Mark Tchelistcheff. These are just a few of the films that stood out for me as I perused the schedule. 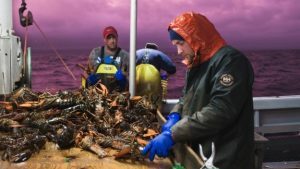 There were certainly others I thought looked amazing – too many to list here – so I’d encourage everyone to get out and take in this fantastic opportunity to see some of the most engaging culinary cinematographic works in the world. Cheers.